So there's another upcoming Halloween party, this round courtesy of Tiger, where everythinig's trendy and lively. This time around, Tiger will hold not just one but 22 Halloween parties across two days on 26 & 27 October. How cool is that? Personally I will be at the party tomorrow 26th October at Thai Club. This would be a pre-event writeup for the upcoming party. Leading up to the biggest Halloween party by Tiger, consumers in the social media and online front has been enticed with ‘Zombie Onslaught’. 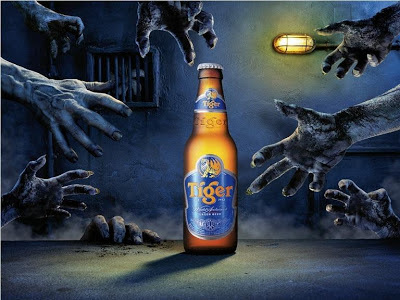 By simply sharing the fun Facebook game (www.facebook.com/tigerbeer/app_423608767701439) with their friends, the highest sharer walks away with cash voucher worth RM500 from Tiger. Tiger’s 22 Halloween concurrent parties offer party goers great beer promotions, fun games and standing a chance to walk away with amazing prizes. Dress up this weekend, let loose & at the same time, be rewarded in the biggest Halloween party in the city this weekend. Tiger has firmly established itself in the consumer experiential realm by holding large-scale anticipated international events like the Tiger Asian Music Festival, Tiger FC Big Away games for football fans and this upcoming weekend - 22 Tiger Halloween parties happening simultaneously. Party up guys! Remember to check out Tiger Malaysia's Facebook page for more info. 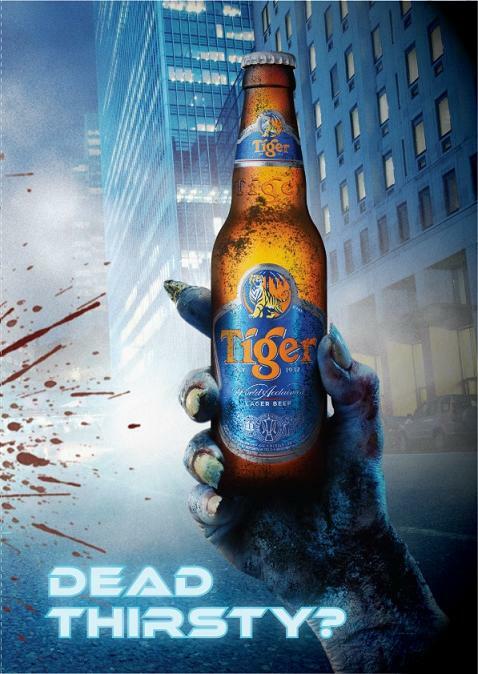 To be part of Tiger’s exciting calendar of events, stay tuned at their Facebook page - www.facebook.com/Tigerbeer - It’s where you want to be. I've always felt Tony Roma's is a rather nice spot to go to for a good meal. Do check out my previous short dining experience review at their branch in Pavilion. (Tony Roma's Pavilion KL). This writeup will be on Tony Roma's latest Halloween promotion, check it all out below. Celebrate all the thrills, chills, tricks and treats of the Halloween season at Tony Roma’s this Halloween from October 29. Bringing back four (4) Halloween specials by popular demand, dine in true All Hallow’s Eve fashion with the rib warming Pipin’ Hot Pumpkin Soup and Howlin’ Pumpkin Pie. Then, complete your dinner with mystifying drinks like the Vampire Kiss and Witches Brew. Kick-start your Halloween meal with the creamy Pipin’ Hot Pumpkin Soup made from fresh pumpkins, topped with bread cubes and parsley. Available both in a bowl at RM9.90 or a cup at RM7.90 it is served piping hot and guaranteed to warm you up before a night of spooky chills! The soup comes with an order of any entrée at RM5.90 (bowl) and RM3.90 (cup). The Howlin Pumpkin Pie is all ‘treat’ as this delectable dessert features fresh baked, sweet pumpkin pie topped with Vanilla ice-cream and velvety smooth caramel sauce. Priced at RM 8.90, this delightful sweet pastry is a Halloween must-try! Patron can also quench their thirst with Vampire Kiss, a chilling mock-tail combining strawberry puree, lemon, Roma sour mix, topped with 7-Up and decorated with fresh strawberry and lemon wedge for RM 14.90. Additionally, those who are fans of invigorating cocktails will love the Witches Brew, a blend of Midori Sky Vodka; Captain Morgan spiced rum, pineapple and cranberry juice. This enthralling concoction also comes with jelly worms dangling out of the glass for that extra unnerving effect. Priced at RM 25.90, the Witches Brew is the real-dare-to-try cocktail! *Not available in Setia City Mall. To add to the Halloween celebrations, customers who choose to dine in their Halloween costumes on the 31st of October will be able to enjoy a 30% discount at Tony Roma’s. The diner with the best dressed and scariest costume will be rewarded with Tony Roma’s cash voucher worth RM 200! As actor Daniel Craig reprise his role as James Bond this October, he will also be featured in Heineken’s thrilling marketing and digital campaign called ‘Crack the Case’ for the first time ever alongside stunning Bond newcomer Bérénice Marlohe. Heineken has extended its 15 year partnership with the James Bond franchise. It will introduce an unprecedented and innovative global marketing campaign to support the launch of the new film SKYFALL. 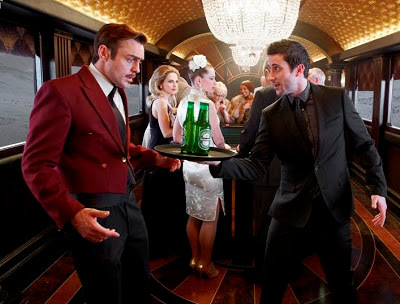 This is the 23rd film in the James Bond series, and the 6th consecutive James Bond film that the Heineken brand has been involved with. The ‘Crack the Case’ campaign takes consumers into a moving train somewhere deep in snow-covered mountains, giving them an experience to be secret agent themselves. Transitioning seamlessly from the TV advertisement (http://youtu.be/BbzZI38BZvg) to the online challenge, Bond actress Bérénice Marlohe tantalises them to help her crack a mysterious case and outwit the menacing villains. The ‘Crack the Case’ online challenge (http://on.fb.me/Qovnxr) invites consumers to a virtual voyage of participation and discovery and at the same time win exclusive prizes and share in the excitement of the global release of SKYFALL. On top of that, be sure to participate in exciting Bond Nights held in selected Heineken flagship outlets and stand a chance to win exclusive James Bond merchandise and movie passes when you purchase a bucket or 5 pints of Heineken. The new SKYFALL movie premieres on 30 October in Malaysia. For more information on how to win movie passes and exclusive merchandises, spy the Heineken’s Facebook page www.facebook.com/Heineken or Twitter www.twitter.com/Heineken_MY today. 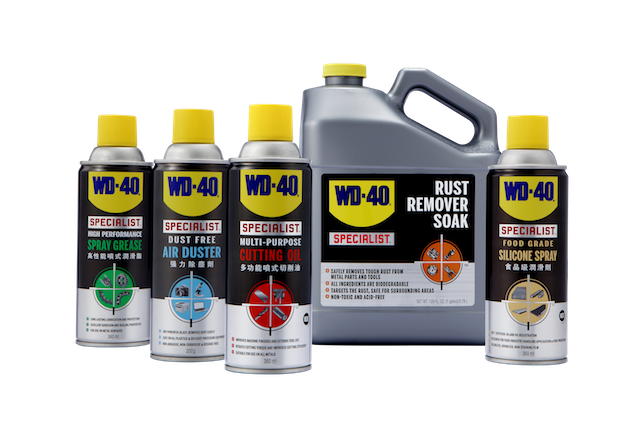 UMW Toyota Motor Sdn. 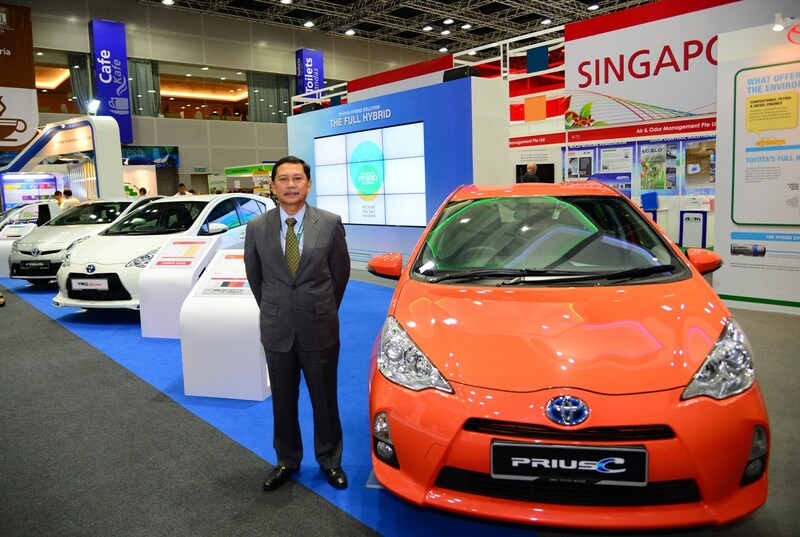 Bhd participated in the 3rd International Greentech & Eco Products Exhibition and Conference Malaysia (IGEM) by displaying the world’s popular Hybrid vehicles, the all new PRIUS c and the new, improved version of the 3rd generation Toyota PRIUS. The three day conference was held from 10th to 13th October 2012 at Kuala Lumpur Convention Centre. Themed "Greentech for Growth", the IGEM2012 aims to help push the rapid adoption of green technology to deliver a double impact of sustainable economic growth as well as to address the environmental and energy security issues. As part of Toyota Global Vision commitment, UMW Toyota Motor is in support of this effort to lead the way to the future of mobility enriching lives around the world and respect for the planet with the safest and most responsible ways of moving people. The idea of participating in this international exhibition is to showcase and create public awareness for consumers and public awareness on Toyota’s world renowned Toyota Full Hybrid System technology. 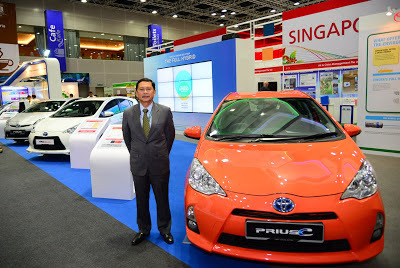 Apart from strongly supporting the Malaysian government’s positive stance towards the environment, it provides opportunity for visitors to learn more about the development story behind the Toyota Hybrid System technology, how it works, and its class-leading benefits, which lead to conservation of the environment. The Toyota Hybrid System was displayed through videos, display panels and other exhibition materials. The IGEM 2012 brings the dynamism of renewable energy, energy efficiency and green transportation for adoption and start-ups, while providing an essential platform to launch, feature and showcase innovative eco products, green technologies and services. It is indeed a must-attend event for green product buyers and sellers to interact, transact and forge new partnerships and cross border collaboration. Held in conjunction with the launch of their Aficio SP 100e series black & white printer, Ricoh launched their ‘Make A Change In 100 Minutes’ comic contest on the 16th October 2012, combining the popular medium of comic books with the good intentions of Malaysians. This contest will run from 1 October to 9 December 2012 and is open to all Malaysians aged 16 and above. To take part in this contest, participants are required to produce a comic strip detailing just how they would make a difference in 100 minutes, utilizing their own drawing style. Each entry must follow the theme of ‘Make A Change In 100 Minutes’. The comic must be a minimum of 10 comic panels in a single A4 page, must be in black & white and is required to be an original idea. Participants are then required to submit their comic strip to the RICOH MALAYSIA (Official) Facebook Page by 31 October 2012. Technical details on submissions are listed on Ricoh’s Facebook page. Between 1 - 18 November 2012 the top 100 finalists receiving the most “Likes” from the public and Ricoh will proceed to the grand finale where their works will be displayed. Comic strips that make it to the finale will undergo another voting session, where they will be judged by the public and a special guest judge. Prizes are impressive: The winner for the comic contest will walk away with RM 5,000 cash and an SP 100 SF e (print, scan, fax and photocopy functions), while the 1st runner up and 2nd runner up will take home RM 3,000 with an SP 100 SU e (print, copy and scan functions) and RM 1,500 with an SP 100 e (print function) respectively.